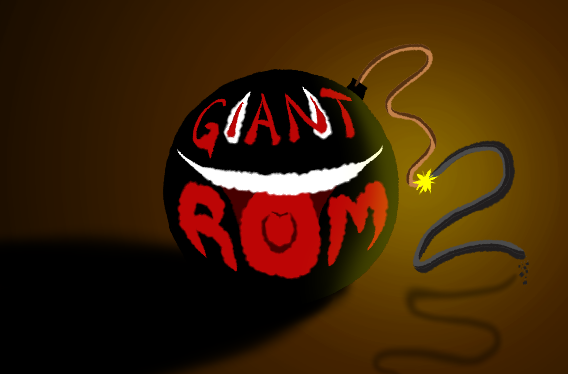 Welcome to Giant ROM 2, the second game jam for all things more or less related to Giant Bomb! Since it's been about half a year since the last one, it's time to make some games together again! "WHAT HIDEO KOJIMA DOES NEXT"
MAY DAN HAVE MERCY ON YOUR SOUL. There will be a special theme picked at random from the GB folks' suggestions at the PAX Prime panel! In addition to this theme, the game should also be somehow related to Giant Bomb. be a Giant Bomber, not a Giant Bummer! So that's November 28th to December 6th - 9 days total, which includes two weekends. Hopefully that's enough to let as many people as possible make some really cool, really silly games... again! Nearly every member of the crew suggested a theme for the jam when I asked during the PAX Prime panel, so for the sake of fairness I'm trying to track down everybody so each staff member has a chance to contribute. Here are the themes; only one will be chosen, and I have no idea which! Good luck, and check out this thread on the Giant Bomb forums for the latest updates! A game inside a game inside a flashback inside a podcast inside an alternate timeline. A small game to play on the com or on the phone! The mines call to you. Become the ultimate Metal Gear trainer. A quick sneaking mission inspired by GiantBomb.com and the mystery that is Hideo Kojima's Imagination. What Will Hideo Kojima Do Next? Fans around the world are wondering what Hideo Kojima does next! A top down shooter that has no intention of being fair. You must destroy Metal Gear Ryckert! Can you uncover the mystery behind Metal Gear Solid? Help Kojima find inspiration for his next game in the movies.